With Valentine’s Day fast approaching you might be scrambling to pick up those roses and chocolates for your significant other. Although those are nice gifts, they’re also a bit cliche. Plus, they don’t last very long. 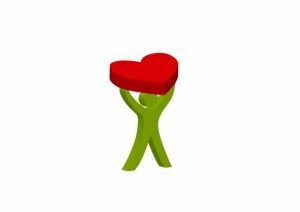 Instead, why not think outside of the box for this Valentine’s Day and provide a junk removal session with Junk King Albany. Transforming your living space into a junk free home is the kind of gift that can last a long time. This isn’t much that Junk King Albany can’t take from your home. There are some restrictions on transporting hazardous materials like oil and chemicals. Beyond that, pretty much anything can go. As you pull together your list of “things to get rid of” keep in mind that you won’t have to be doing any of the actual lifting. That should open up that list to include things like old sofas, exercise equipment and major kitchen appliances. If you’re done with something, then it’s time to get rid of it with an assist from Junk King. The Junk King crew can also be a big help when it comes to taking something apart. That includes big things like pool tables or hot tubs but also demolition projects like pulling up carpets and removing dry wall. Then there is all the help Junk King can provide with cleaning up your backyard. Anything that is out there rusting away can finally be loaded up onto the back of the Junk King truck. As those items are packed onto the truck, the team from Junk King will be looking for anything that could benefit a local charity or be recycled. This is part of their complete junk removal package. If Junk King can find an alternative to the landfill, then that is where your junk is going to end up. Call today to set up your junk removal session. One call could have your junk picked up within hours! The price for this cleanup will be based on how much space your junk is going to use on the truck. It’s never about the weight. That’s a very fair way to price out this kind of work. It won’t take long for your home to become junk free. Put Junk King Albany on that job today! This entry was posted in junk removal and tagged Junk King, junk removal, Valentine's Day on January 31, 2016 by Todd Porter. Last updated August 16, 2017 . How much new stuff came into your home since Christmas? Typically, that is the time for things to show up like new flatscreen televisions, laptops and game consoles. You can certainly tell if your neighbor got any of those goodies but the boxes they threw out the day after Christmas! Now that the holidays are behind us, it’s time to look forward to the New Year and that means it’s time to get rid of your post-holiday clutter. That would be all the stuff you replaced or discovered you don’t need any more. No more excuses. Time to bring in Junk King Albany. Junk King Albany is part of a chain of professional junk haulers that made 2015 a very clean year. They are on target to do the same thing for 2016! Before calling Junk King, take a few moments to walk through all the storage areas of your home. Go through the closets, garage, attic and basement. Take note of all those things you would like to see “disappear” from your home. Remember, you don’t have to worry if something is too heavy or bulky. The Junk King crew is going to handle all the lifting and loading. That includes climbing any amount of stairs to get at the junk. This is your crew; put them to work! Once you’ve decided what you want to get rid of, you can schedule your junk removal session online or over the phone. Junk King will make sure you have all the truck space and manpower you need to get the job done. What about the cost? Before the crew loads up anything, they’re going to give you an estimate based on how much space your junk is going to fill on the back of the truck. This is a price that is based on volume and not weight. It’s the only fair pricing approach for this type of work. After everything is loaded up, you can get back to your day. 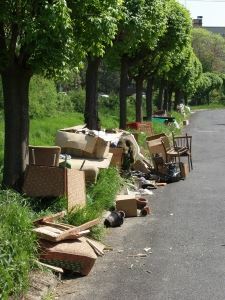 The Junk King crew will still be working to make sure your clutter is disposed of in a responsible manner. If they can avoid making a trip to a landfill, then they’ll consider that a good day! Is it time to get rid of your clutter? Junk King can make it happen with one phone call. This entry was posted in junk removal and tagged clutter, Junk King, junk removal on January 24, 2016 by Todd Porter. Last updated August 16, 2017 .